You could BANK on it! Local author Bill Watson, will be visiting the library to talk about his latest book, You could BANK on it! 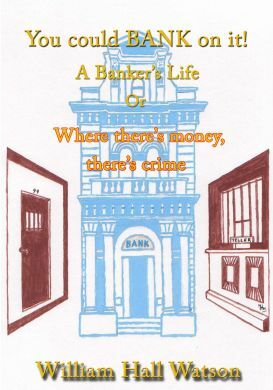 A Banker’s Life or alternatively Where there’s money there’s crime, a narrative based on his own life as a banker. Bill started out his financial life in Scotland, emigrating to Australia in the 1960’s and continuing his career in banks at various locations around Adelaide and South Australia. Bill goes on to discuss how the banking world changed radically in the last two decades and how restructuring saw the loss of many skilled and loyal employees. Bill comes to the library on January 25th, more information can be found here. Bill has previously authored Police Forces of the World a comprehensive look at the evolution of the world’s police forces. He is currently working on a non-fiction book about the world famous Bay to Birdwood Run. This entry was posted in books, events, new resources and tagged author events, authors, Bill Watson, library events, You could bank on it! by Symon. Bookmark the permalink.